It’s hard being the suicide bomber’s family. No one has any sympathy for you. You’re the father who screwed up so bad, your son decided to go blow himself up. You’re the brother who dropped out of school so your younger sibling could have an education – only, he chose martyrdom over a university degree. You’re the mother who once boasted to the neighbours that you were glad your kid enjoyed hanging out at the mosque. If only you knew then what he was being taught there. You’re the ones who grieve, the ones who had to go identify the teenaged terrorist, the one who recognized his toe, his ear. Bits. 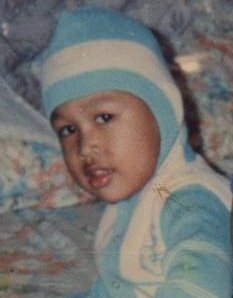 Of the boy you once thought you knew. Dani Dwi Permana was just 18 when he walked into Jakarta’s JW Marriott Hotel, and detonated two bombs. Pandemonium ensued. The police were called in. Reporters and camera crews descended on the scene. Six people, including Dani, died in the attack exactly one year ago. Hundreds of miles away in Kalimantan, a woman went about her daily chores, unaware of what her son had done. Tini Harantina never thought Dani capable of any violence. He was a quiet boy. A studious kid who loved basketball. He liked to pray. He loved Allah. How could he possibly have been a terrorist? How indeed? This was what we set out to discover when we went to Indonesia last month – what drove Dani to do what he did? What was his story? The first thing that strikes you is the startling ordinariness of his childhood. Dani’s family lived in a comfortable gated compound in Bogor, a two-hour drive from Jakarta. They were not rich. They were not poor. Dad was a security officer at the compound. Mum looked after the house. There was always food on the table, prayers in the evening, television for entertainment. They were told to study hard, to stay away from bad influences. And by all accounts, they obeyed. Dani adored his older brother, Jaka, who excelled at school. And then, one day, their father disappeared. The family learnt soon after that he had been convicted of stealing from his company and put in jail. They also discovered that he had sold their home without telling them. The family splintered. Tini went back to her native Kalimantan, heartbroken, and determined to make a fresh start. 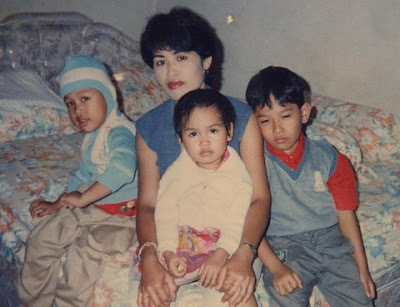 She took along her two youngest sons, Putra and Rezki. Their sister Desti, the only girl in the family, was already living with some relatives in Palembang. The two older boys were left to fend for themselves. Jaka dropped out of law school to support his brother. He took a job in a wood factory in Jakarta. They rarely saw each other and young Dani started spending more and more time at the mosque. He met a cleric, a man who took him under his wing and told him what it meant to truly serve their god. Saifuddin Jaelani fed the boy stories of greatness, of love, of sacrifice. And Dani – young, impressionable, and eager to please – lapped it all up. Video footage shows the would-be bomber laughing and joking as he prepared for his suicide mission. He looked calm, relaxed and focused. 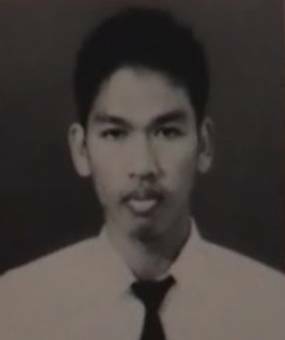 Saifuddin was killed in a police raid shortly after the bomb attacks. Tini says she wishes he had survived. She would have dearly loved to give him a piece of her mind. For months, she’d been dying to punch him, to hit out at this so-called religious leader who’d taken her son’s life. But he is no more and neither is Dani. She says she can hardly believe all that’s happened. She’s still in denial. Who can blame her? It’s a mother’s worst nightmare. The loss of a son; the awful realization that this son, her boy, was a mass murderer. “But he was a victim too. He was murdered too,” she insists. We all nod. How many times must she have said this to herself, to the relatives, to strangers who refuse to understand? Dani lies in a simple grave a short distance from his old house. We visit the cemetery during Tini’s most recent trip back to Bogor. She seems strangely unmoved by the experience, says a quick prayer and then leaves in a hurry. But afterwards, when we talk about Dani, there are tears. We ask Tini what she prayed for.